I met him at a Minor League game at Florida Auto Exchange Stadium in Dunedin, Florida in 2015, when the Jupiter Hammerheads, whom he was managing, came to play the Dunedin Blue Jays. 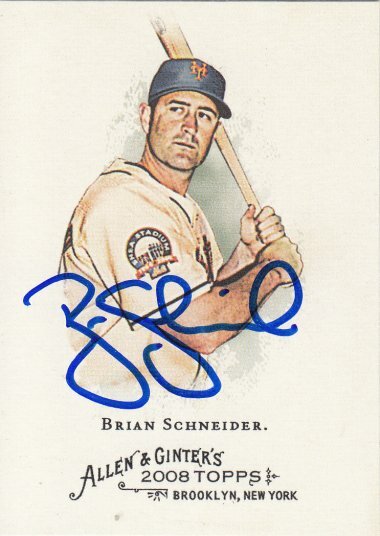 Brian signed a 2008 Topps Allen & Ginter's card #106. I remember Brian. He was a pretty good player.